The condition defition can be done at a filter for the Offer window. How to work with a filter. 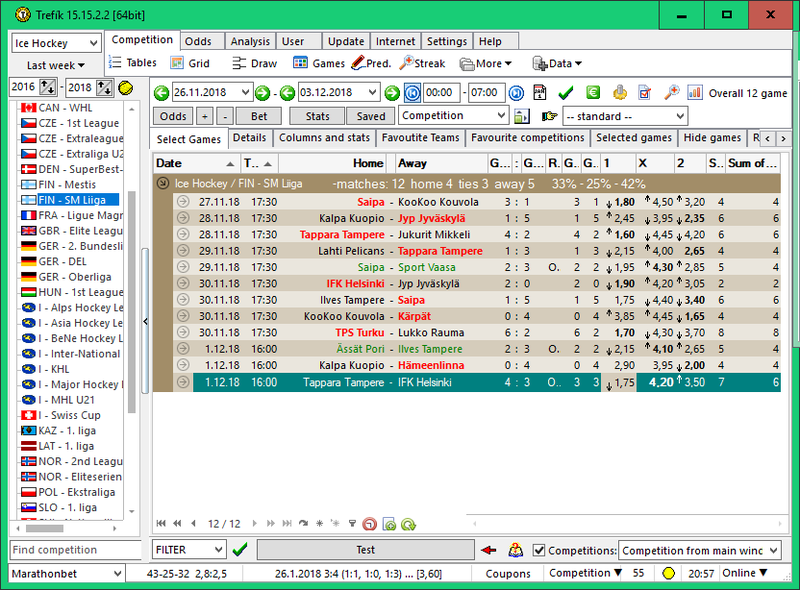 Trefík allows to set conditions for every column at the Offer window. The conditions can be simple, composited or multi-leveled. For example, a match can be displayed where the home team's success rate in the last matches ranges from 60% to 75% and the success rate of the guests ranges from 25% to 40%. 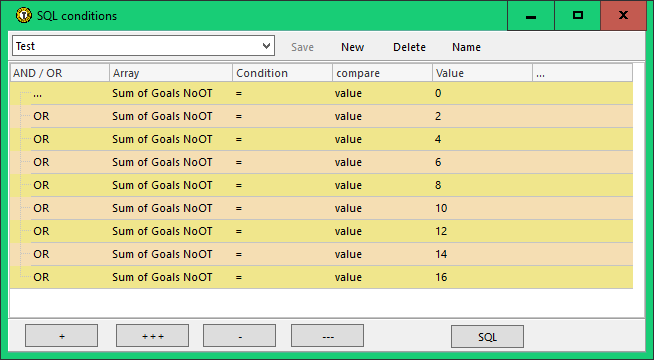 This tool can gain more control over the values of individual columns than when using conditions directly in the filter definition for the Menu window. 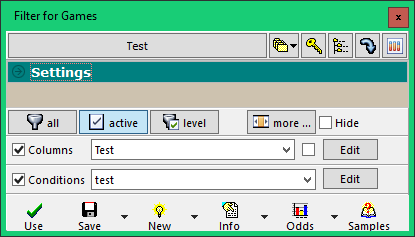 .. by entering different values into the conditions, you can analyze the filter results for the Offer window.